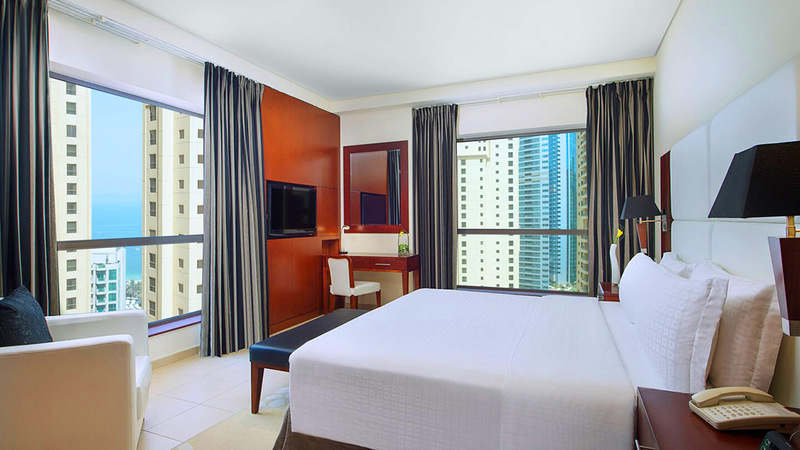 A luxury hotel minutes from 'The Walk' and looking out over neighbouring Palm Island and Dubai Marina, the Ramada Plaza Jumeirah Beach is ideal for families boasting 365 spacious apartments and suites. Features such as an outdoor pool, health club and children's facilities, plus meeting and event facilities for the business traveller await privileged guests. Exceptional dining experiences and fantastic Dubai views combine perfectly with the wider offerings of Dubai. 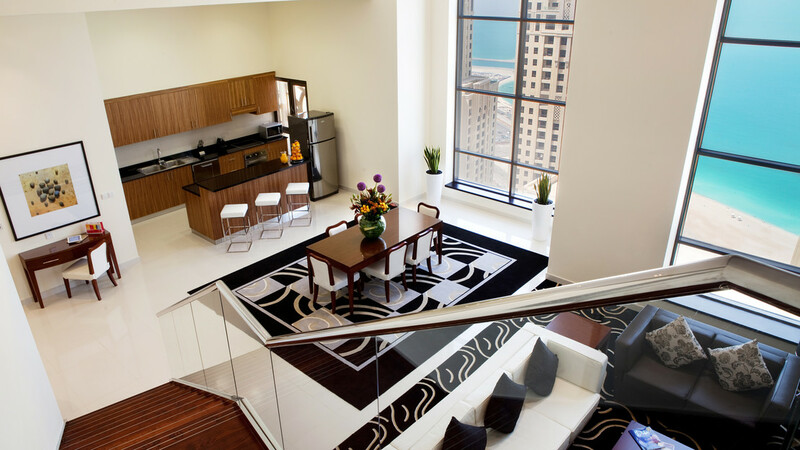 There is an incredible array of sights from the dizzy heights of the Burj Khalifa to glittering, pristine beaches, water parks and superb shopping; both designer and traditional. 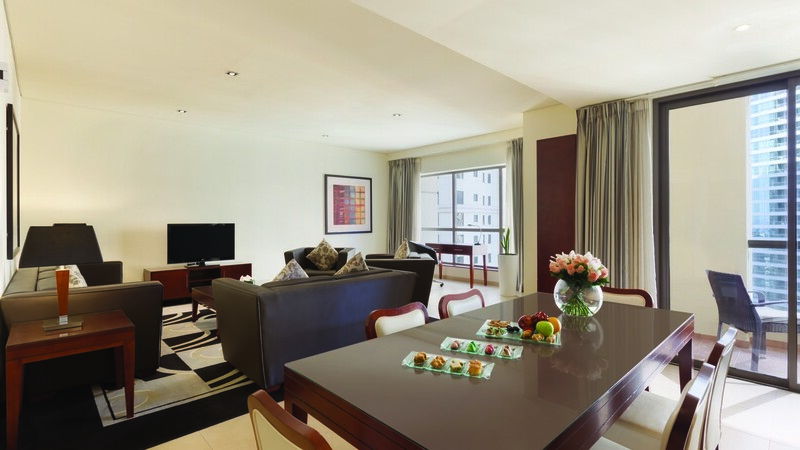 A choice of five international restaurants and bars, live entertainment and a host of accommodation provisions ensures the Ramada Plaza is right at the heart of luxury holidaying in Dubai. 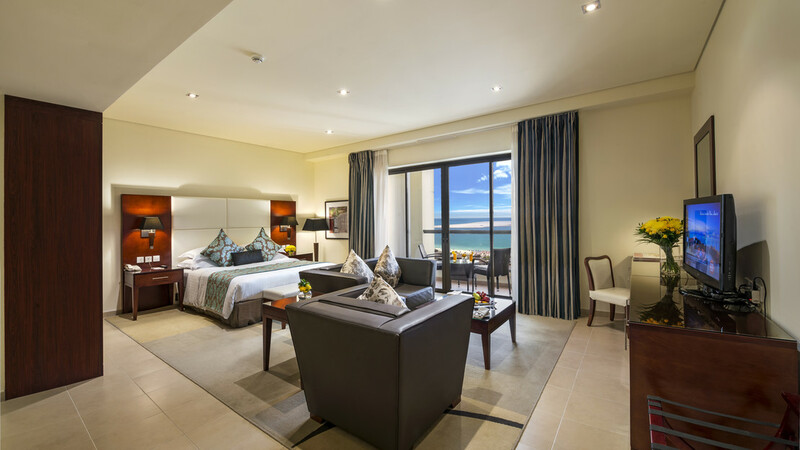 Jumeirah beach is just a short walk away from the Ramada Plaza Jumeirah Beach. Ramada Plaza Jumeirah Beach is close to an array of restaurants, shops and entertainment venues on The Walk Jumeirah Beach Residence. 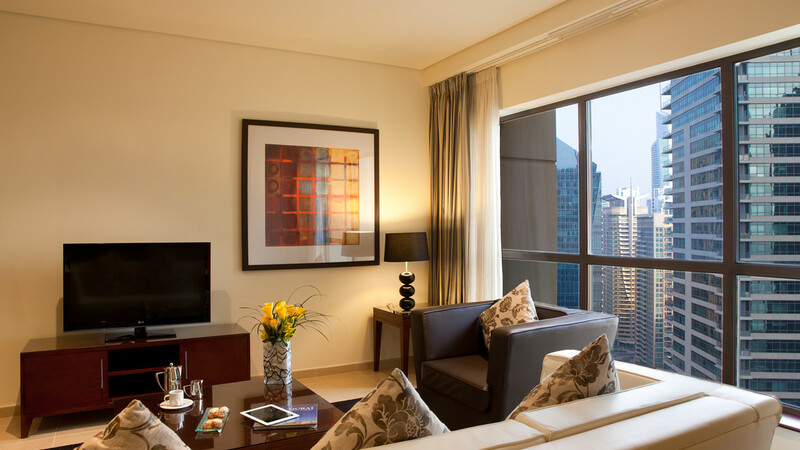 Dubai International Airport is approximately 35km away from the Ramada Plaza Jumeirah Beach. 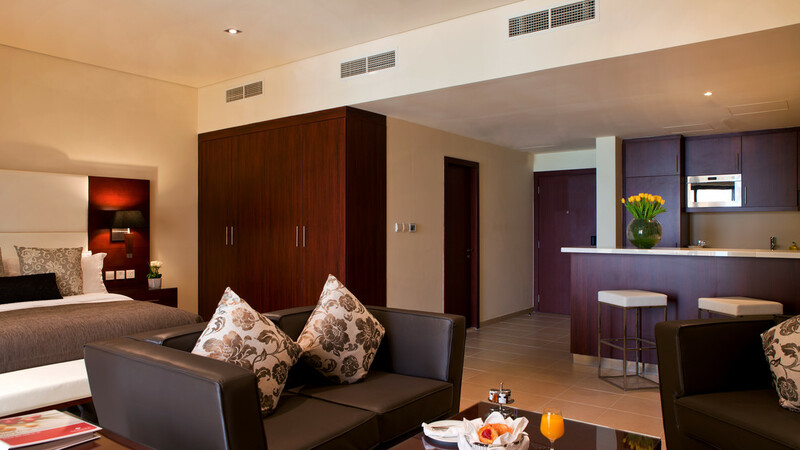 The most basic of Ramada Plaza accommodation, this room begins the wide range of accommodation choices. They are bright and airy with a king- or twin-bed configuration. A finalist in the 'What's On' accolade for three years running, this exceptional restaurant boasts a vibrant atmosphere and a first-class Brazilian Churasscaria experience. Savour traditional appetisers, salads and of course succulent barbeque meat cuts carved at your table. Live bands and samba shows perform throughout the week. Arabic mezzes, mixed grills and a variety of shishas and drinks are served on this spectacular 35th Floor Lounge all under a starry night sky. Enjoy casual American-themed delights such as burgers, grills, drinks and cigars with live entertainment and music in the background. Imitating the 1920's era, this venue is open until 3am. All-day dining right from delicious breakfasts beginning at 6.30 am, Shores combines International buffet favourites with an a la carte menu alongside. Perfect for catching up with your family or friends, enjoy a variety of fresh coffees and teas, snacks and treats. Details may be subject to change. 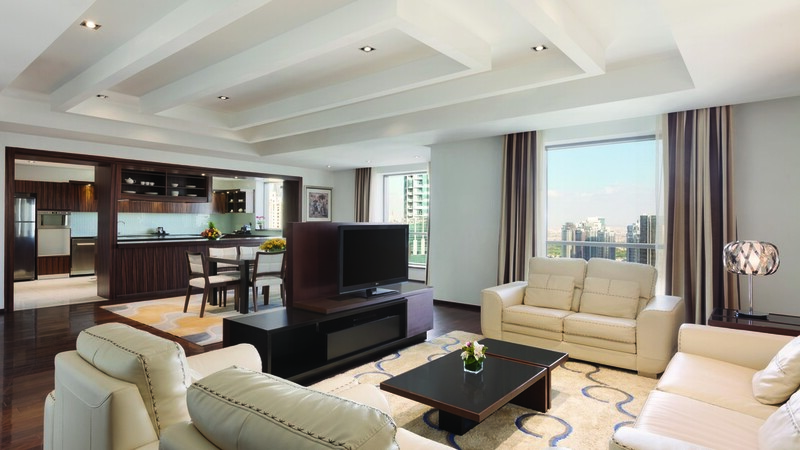 You will be provided with full details of the Executive Floor Benefitson arrival at the hotel.